The project management plan template is to be used for presenting a snapshot of your project. The template was created to present the right amount of detail for project teams while avoiding complexity so it is still relevant for executives and clients. 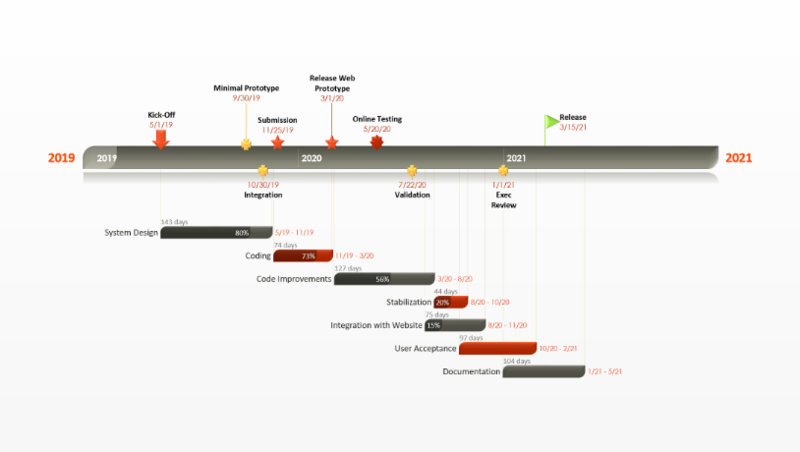 It illustrates the project’s key tasks and important milestones on a single PowerPoint slide making it an important tool for any project management communication. 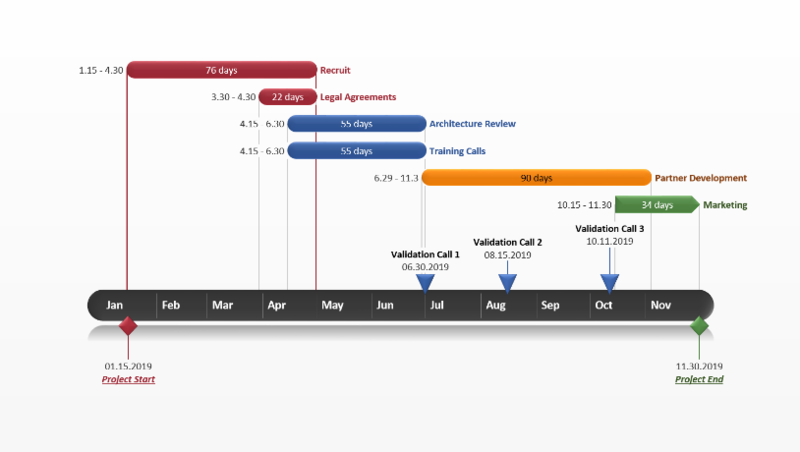 Anybody managing a small project can use the project management plan template to draft plans and schedules or to measure the progress of the project. 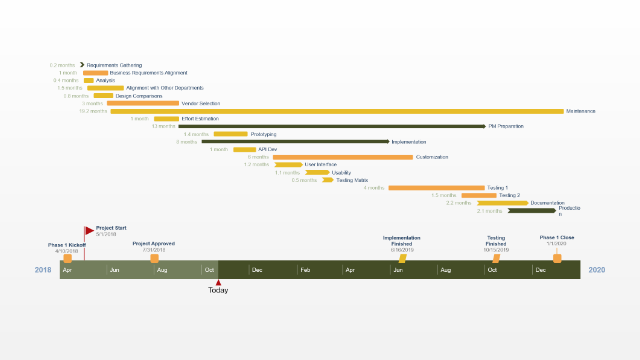 For planning more complicated projects the template can be used as the timeline illustration in the charter document. Project management plans are the foundation for executing any project. Project plans should document the business case, assumptions, scope, cost and the project schedule. The plan should also include the communication strategy for keeping stakeholders briefed. The project management plan was created to be a visual template, so it can be used as part of the stakeholder communication process. It can be easily revised and enhanced to include percent complete indicators and an elapsed time. 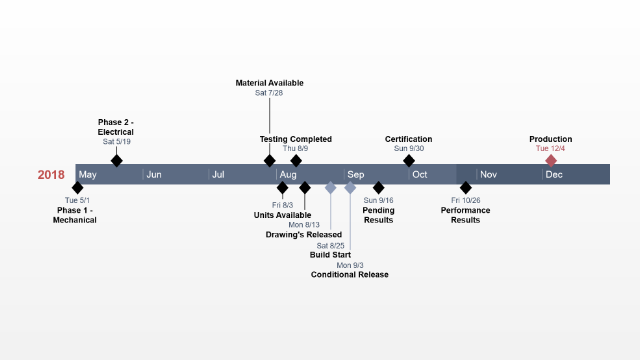 These revisions will make the template suitable for showing the progress of your project in status reports, reviews or on project scorecards. Download this slide and collaborate with any team member or client who also uses PowerPoint. Since the project management plan is a PowerPoint slide it will be simple to share or it can easily be included in other presentations or documentation. Edit the project management plan template by manually replacing the existing placeholders with you own data. Or, use Office Timeline’s free project planner tool to automatically update the slide and make any styling changes you want. 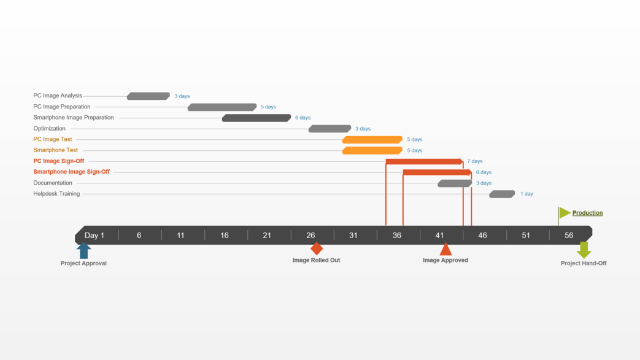 Office Timeline is a project planning add-in for PowerPoint. Office Timeline Plus can also import existing data from projects managed in Excel or Microsoft Project and others.